Nell Sinton began painting in the 1920s. She studied at the San Francisco Art Institute (then called the California School of Fine Arts). 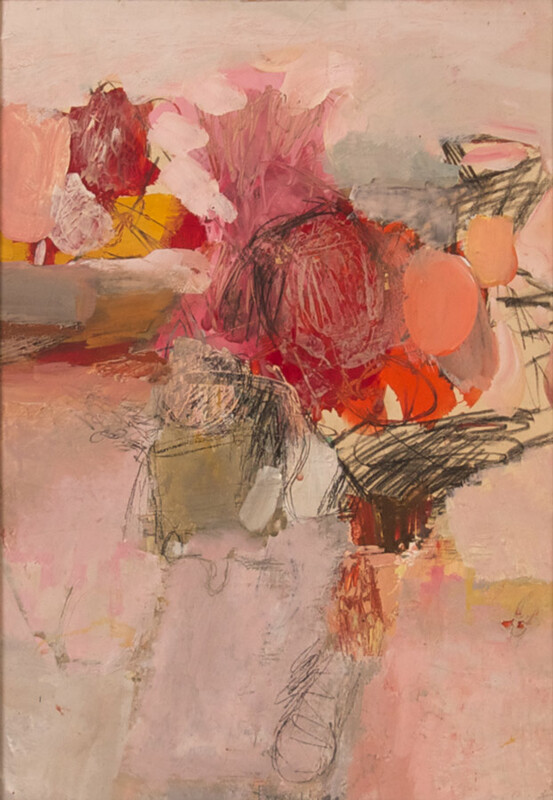 Sinton was acknowledged as one of the Ten Most Distinguished Bay Area Women and was an active member of the Bay Area art community and also served on the San Francisco City and County Art Commission, 1959-1963 and the Board of Trustees of the San Francisco Art Institute from 1966-1972. Nell Sinton has had ample success as recorded in exhibitions, awards, recognition by art critics and mention and illustration in recognized periodicals, national and international. Among artists of her own locality she is well known and she has a sure place nationally. This is largely irrelevant in the presence of her work. Her works speak directly to the sensitive viewer on their own terms. They are in acrylic – a medium Nell Sinton adopted in 1964, in preference to the traditional pigments. 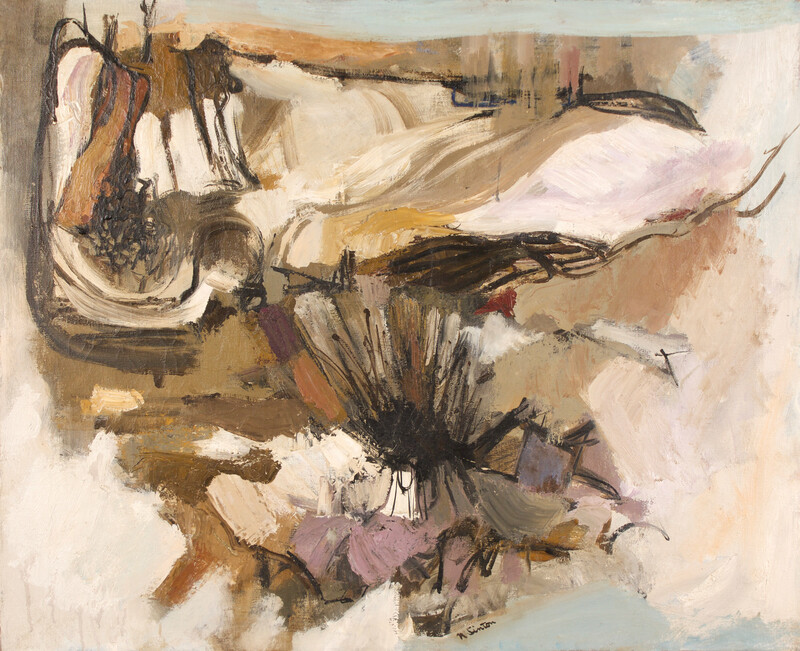 Nell Sinton has often incorporated collage of some type with acrylic painting She is deeply responsive to the possibilities of her medium, for her art, whatever its style, has been marked by a sensitivity in which external stimulus for the work and the means of its execution have both played their part, along with her intimate feelings. She has been an innovator in her own development as an artist, very aware of thee evolution of today’s art as represented in the work of her contemporaries. She has valued her own development, and is sympathetic to the movements of her time. It is the breadth of her personal curiosity and excitement that one feels strongly in reviewing Nell Sinton’s work through the years. Raymond & Raymond Gallery, San Francisco, 1947; California Palace of the Legion of Honor, 1949; Santa Barbara Museum of Art, 1950; Bolles Gallery, New York and San Francisco, 1962; Quay Gallery, San Francisco, 1966, 1969, 1971, 1974; San Francisco Museum of Art, 1970; Louisiana State University, Baton Rouge, 1976; Braunstein/Quay Gallery, San Francisco, 1977, 1978, 1989; Oakland Museum, 1990.